Britain First has blamed Lindt’s supposed refusal to halal-certify its chocolate for the recent hostage situation in Sydney. The gaffe is another example of the ‘Christian’ protest group firmly grasping the stick at the wrong end as Lindt has confirmed to The Huffington Post that they do not refuse the certification. In a further embarrassment, leader Paul Golding jumped the gun on Tuesday by releasing a video attempting to blame another hostage situation in Belgium on Islamic extremism despite no evidence to support his claims. He then goes on to claim “hundreds of thousands” of people emigrate to Australia from the UK looking for a “safe haven” despite the number being in the tens of thousands. There are no figures on how many of these are fleeing the threat of Islamic extremism but it is safe to assume that job prospects and the weather are more likely to be top of people’s concerns. Golding continues his rant by warning things were “only going to get worse until there’s a civil war”, blaming “mass immigration” and “Muslim birth rates” for the lone gunman’s actions in Sydney. A series of posts from other right-wing social media campaigns continue the chocolate conspiracy, suggesting that the Lindt Cafe in Sydney was specifically chosen for the attack because the Swiss chocolatier “refuses to become halal certified”. Despite gunman Man Haron Monis not announcing his motives, anti-Halal and anti-Muslim organisations in Australia are trying to capitalise on the incident, alleging that he chose the location in protest against a refusal to pay “halal tax”. 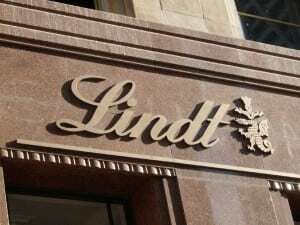 Various right-wing organisations such as The Australian Tea Party have shown support for what they claim is Lindt’s refusal to “pay Islamic tax” or contribute to an apparent Islamisation of food. The groups who oppose Halal certification were backed by an Australian MP in 2011, who claimed that forcing citizens to “unwittingly” buy Halal foods was leading to a nationwide conversion to Islam. Steve Rose of inter-faith think tank Faith Matters told The Independent: “Zakat is about charity and the idea that it’s some sort of ‘halal tax’ is laughable. According to the Muslim Consumer Group, Lindt produces a variety of products which are suitable for Halal diets. Well done Ryan Barrell for getting the facts straight on the ‘Lindt Halal certification’ and ‘Halal Tax’ issues being circulated.